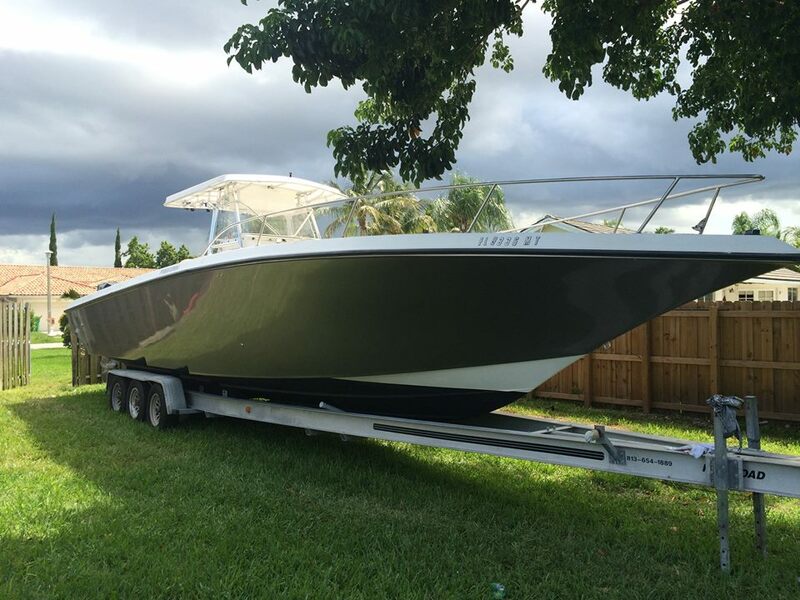 Showcase your boat from the marina to the sandbar or out on the open water. 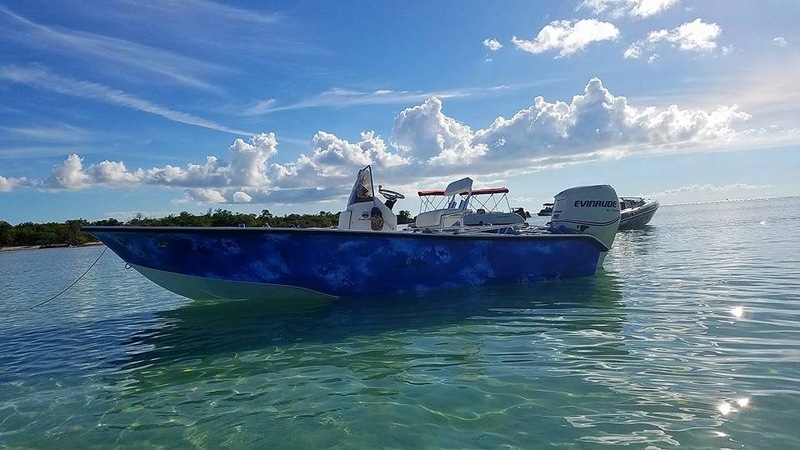 Come in and see us today for your free estimate on a wrap that best suits your needs whether its for commercial purposes or leisure we will have the boat wrap solution for you locally in Key West at competitive prices. 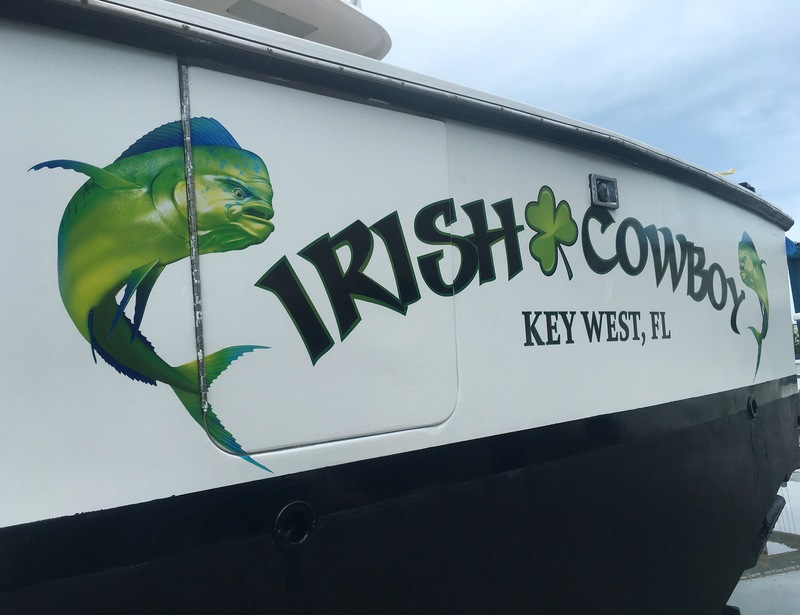 With one of our Key West boat wraps you can be sure to stand out from the rest on the water! 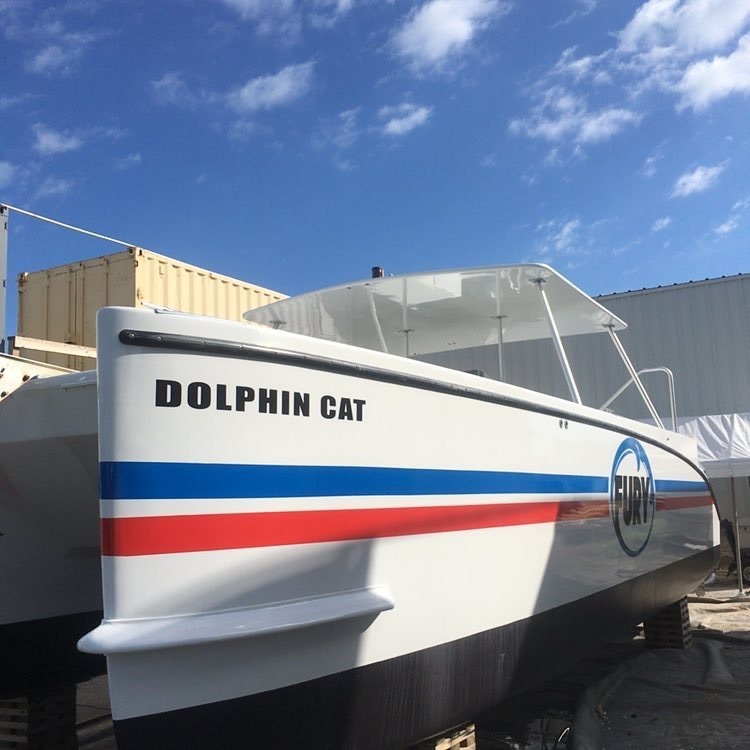 No matter if you are a leisure boater or a professional fisherman and charter captain Deep Blue will assist you throughout the entire design process. 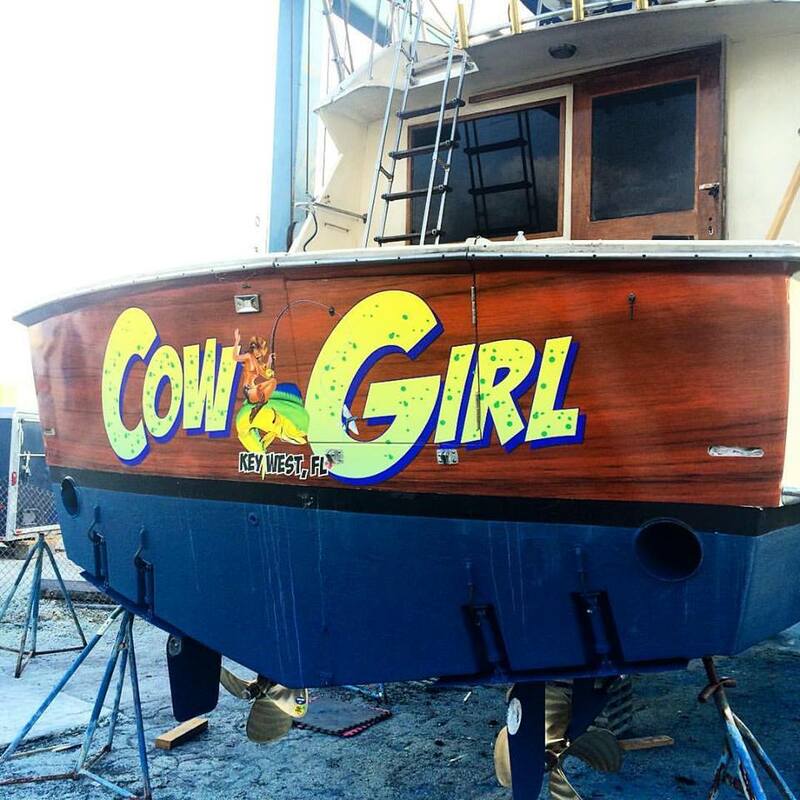 We will design, produce, and install your boat wrap. Are you sponsored? Let us know we work with many companies and have the access to a great amount of logos and graphics. We will handle the entire process for you and work with your sponsor to ensure you get exactly what you are looking for and your sponsors are satisfied. With our cutting edge HP Latex technology and inks we can create realistic cutting edge graphics with unlimited options to set you apart from the competition. 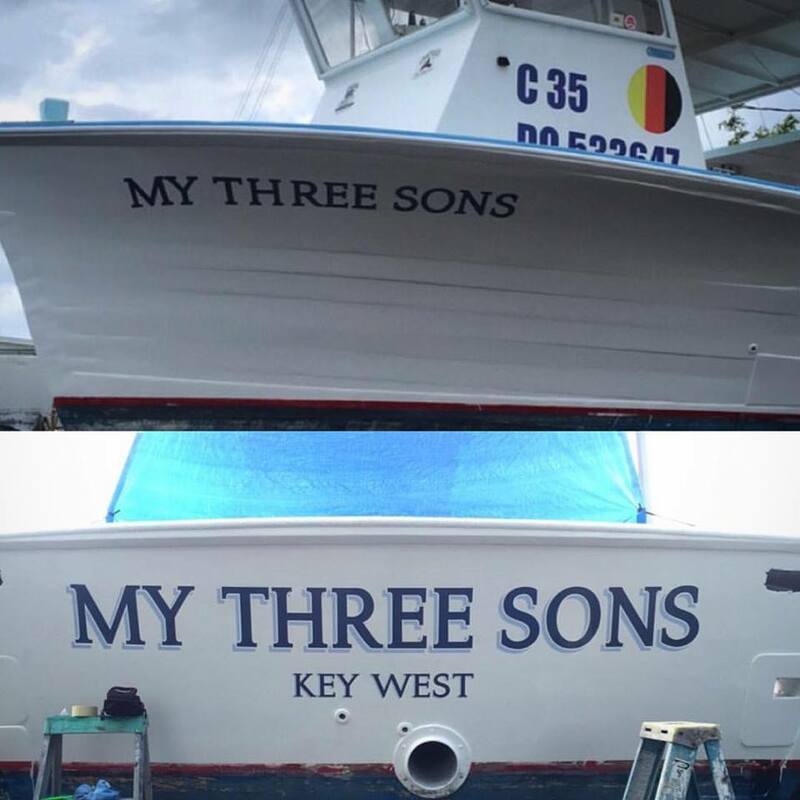 Boat wraps are an amazing way to promote your product, team, or business especially in a boating capital of the world like Key West and The Florida Keys. 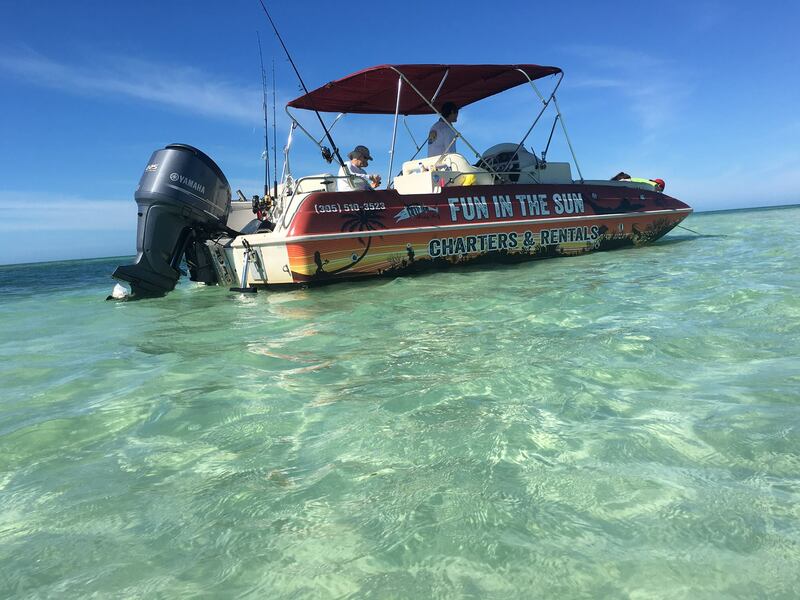 Showcase your boat from the marina, sandbar to the open water. 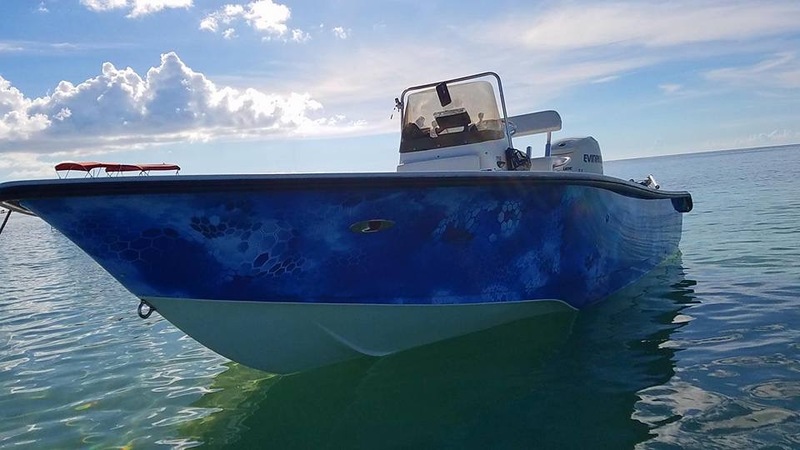 38' Fountain Competition boat wrap from start to finish one piece no seams. 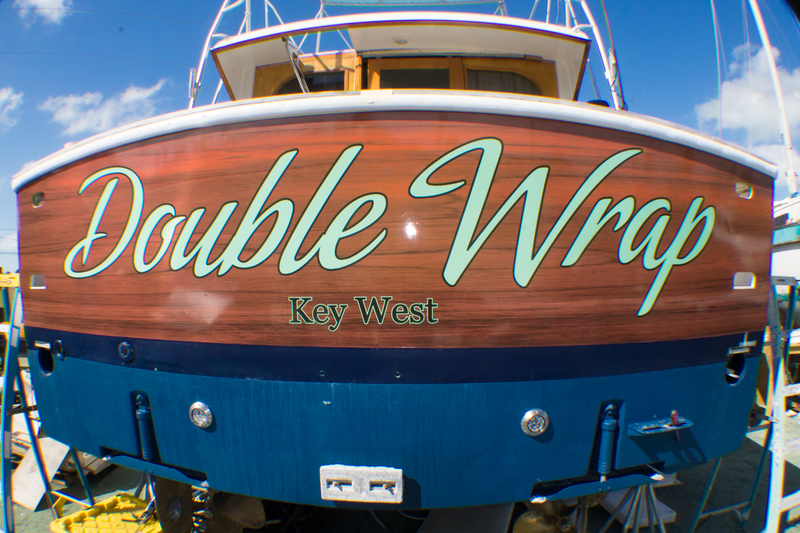 How long does a vinyl boat wrap last in Key West? Vinyl can be more resistant to fading than paint. 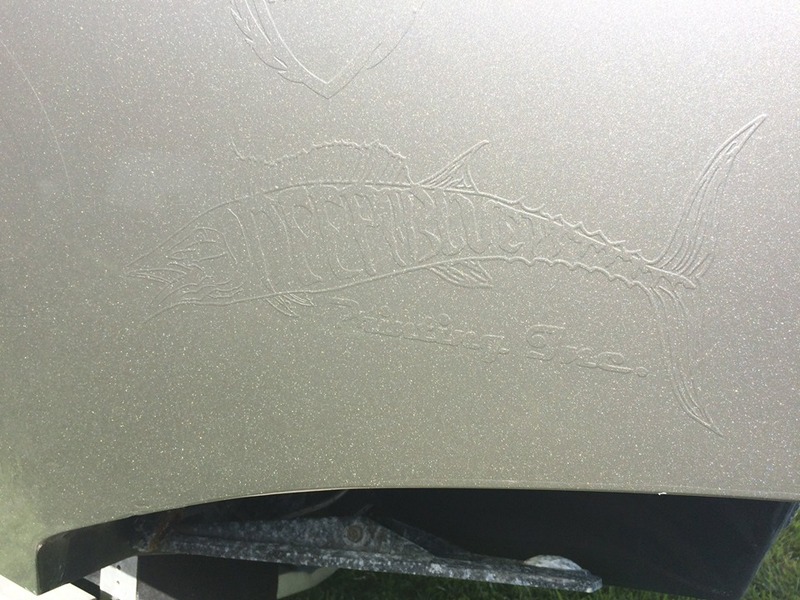 The premium vinyls we use are warranted up to 5years against fading. 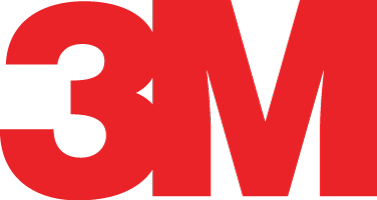 Solid colors offer better fade resistance than printed or metallic vinyls. All of our vinyls come with a 1 year workmanship guarantee and 3 to 5 year manufacturer warranty against material faults. Depending on which vinyl you choose. 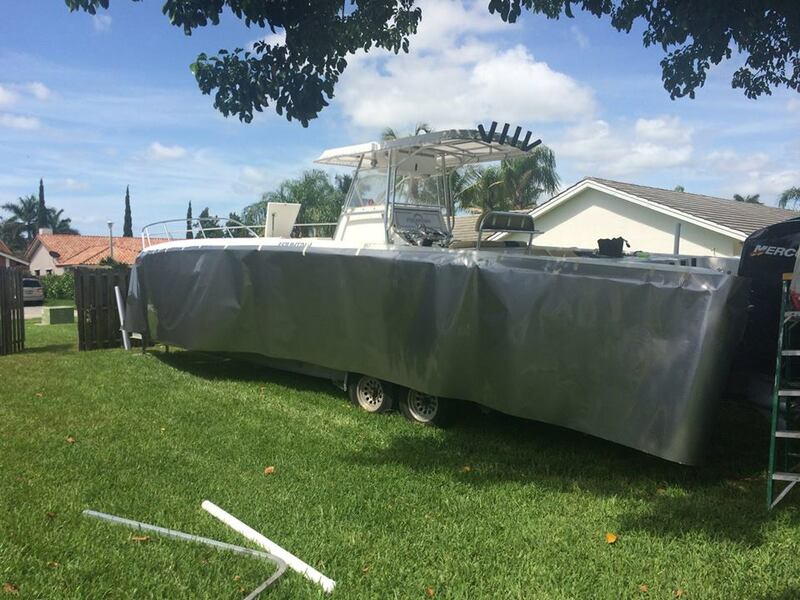 Another benefit of having your boat wrapped is that it is reversible! 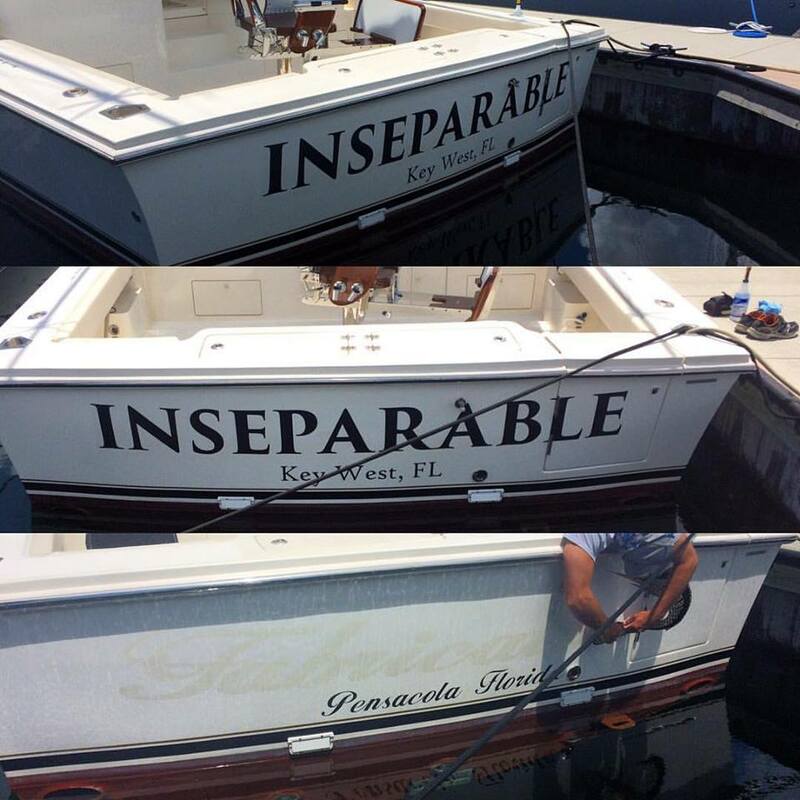 A boat wrap can be fully removed without any damage. Assuming the underlying surface is in good and sound condition when the vinyl is installed. Vinyl wrapping can cost less than a paint job depending on the type of vinyl and or any custom graphics. 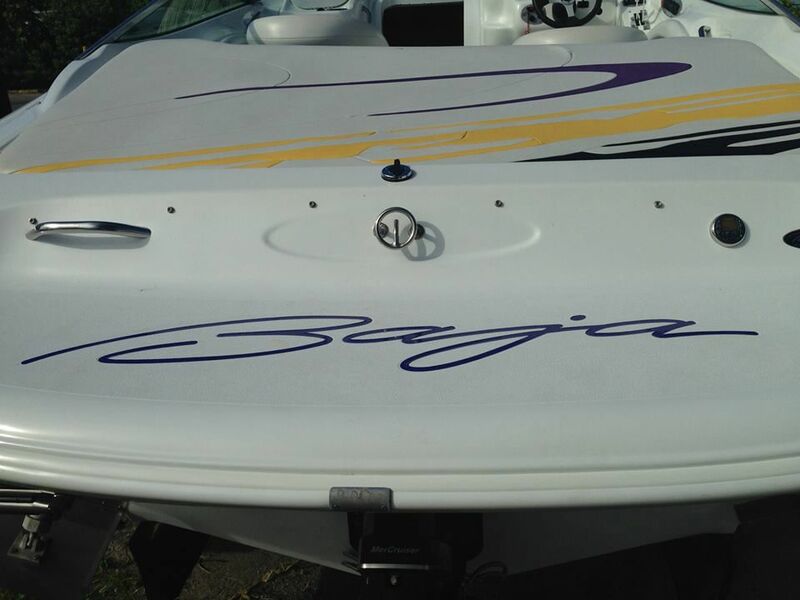 Boat wrap will also save you in reducing the time your boat has be out of the water and can be applied outdoors. One of the biggest benefits people often miss is that the wrap preserves the surface under it. 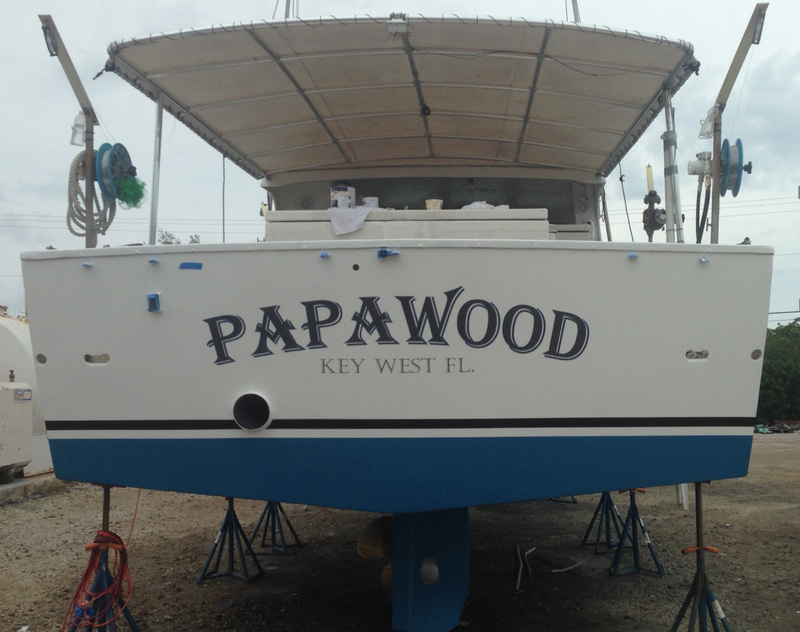 IF you paint your boat and apply a wrap your wrap could last you anywhere from 5 to 7 years. That means NO BUFFING OR WAXING for 5 to 7 years! Sounds good right? Well it gets better! 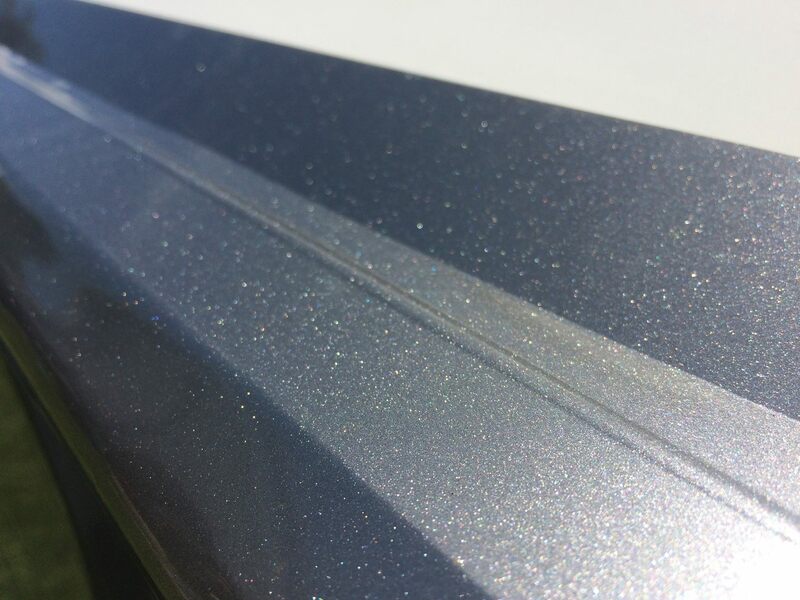 When you take your wrap off the paint will look as good as the day you applied the wrap helping you avoid any waxing and buffing. We only use the best techniques when applying and sealing your wrap. All of the edges get surface adhesive promoter followed by 3M invisible edge seal tape! We also take it a step further by sealing the edges under the rub rail and around all vents with clear marine caulk which ensures a proper seal and is nearly invisible. 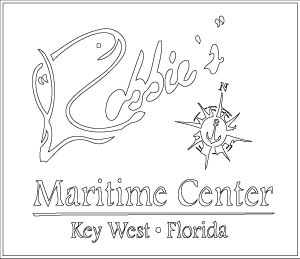 Conveniently located at Robbies Marina along the side of Key West Marine Repair for all of your boating needs. 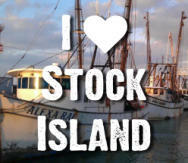 Come in and see us to get setup with a new boat wrap, FL numbers, and boat decals.